Sometimes there are situations where you want to draw eyes but don't necessarily have room for a massive roller banner. Or maybe you do have room, but you're looking for a smaller complementary piece. If that's you, Project Design Print's desktop roller banner proves that good things really do come in small packages. One of the clearest strengths of this desktop roller is the simple fact that the banner comes in a convenient size. The smaller size gives it more flexibility, is lightweight, and even comes with a bungee pole for better results. This size in turn also allows you to structure your efforts. For example, suppose you're at a conference or a fair and you want a separate pile for signup sheets. Depending on your specific needs, you have plenty of room to be creative with these. 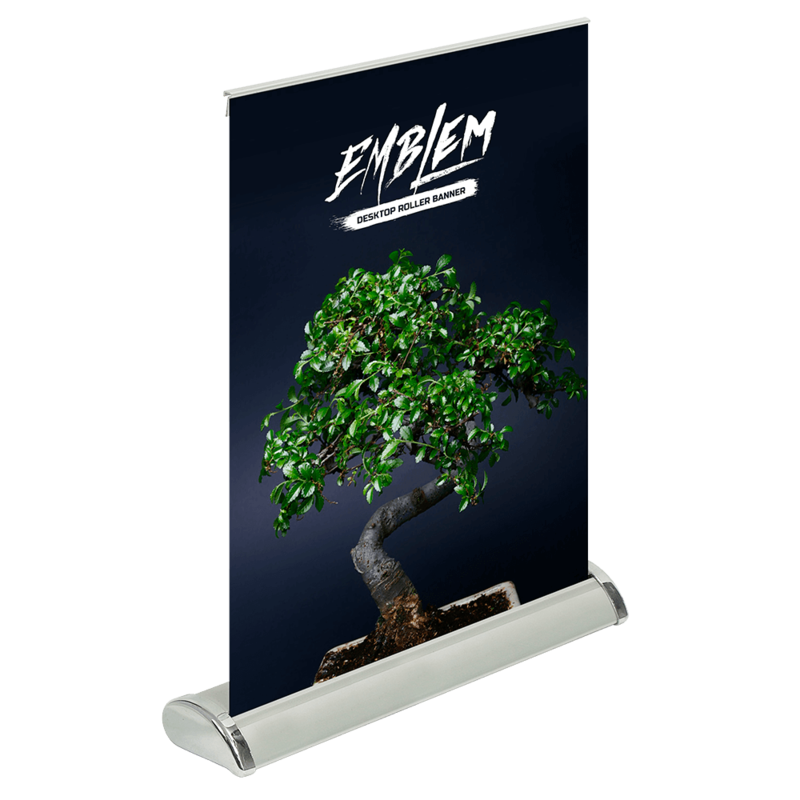 We offer the Emblem Desktop Roller Banner to our customers. Learn more about our desktop roller banners today.